Rockefeller Center is a complex of nineteen commercial structures covering 22 acres between 48th Street and 51st Street in New York City. 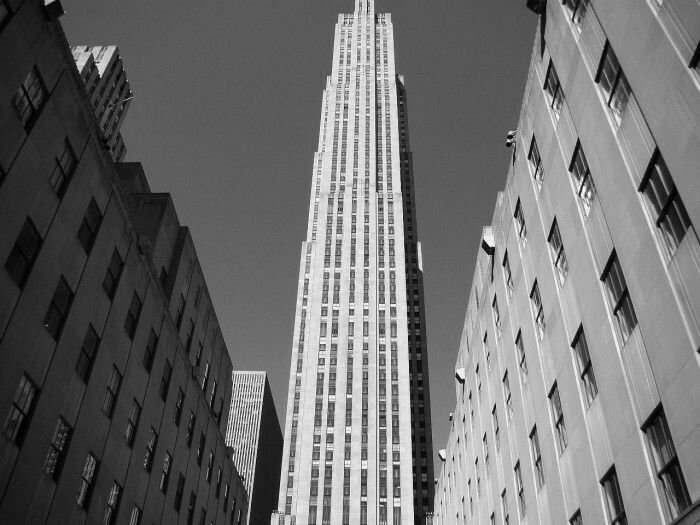 Built by the Rockefeller family members, it is located in the heart of Midtown Manhattan, spanning the area between 5th Avenue and 6th Avenue. The Rockefeller Center complex was constructed during the Great Depression, providing much wanted work for New Yorkers, as well as reflecting the art deco styling well-liked during the period.